In this article and video we share a good news story. Geoff (pictured) was victim to bike theft many months ago here in Melbourne. 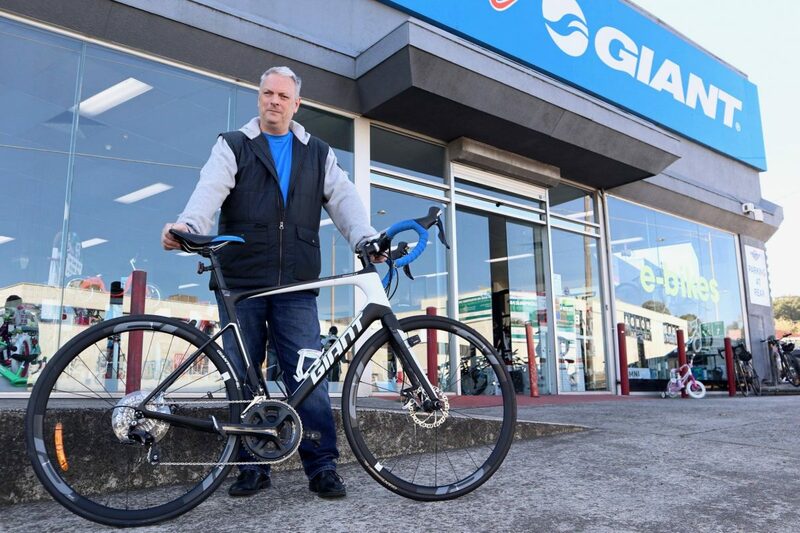 His ‘pride and joy’ – a Giant Defy road bike – was stolen from his place of work in the Docklands. Geoff reported the stolen bike to Bike Chaser partner Bike Vault Australia, and as result, his bike was identified/found and delivered back in perfect condition. Geoff purchased his much-loved Giant Defy from Ivanhoe Cycles in 2016. According to Geoff, it was his “pride and joy”. We testify to that statement here at Bike Chaser! So when the bike was stolen, as you could imagine, Geoff was quite mortified. A number of months ago he walked into a building in the Docklands. Geoff’s place of work. Riding into Dockland often, Geoff would typically park and lock his bike in a very modern and well regarded bike storage area in the Medibank building. On this particular day Geoff decided to drop his backpack inside and take his gear out before locking the bike up. Literally 3 minutes later he returned to the bike storage area and his Giant Defy had been stolen. Geoff quickly approached the security team at the building . While they were able to find the footage of the bike being stolen, there wasn’t much else they could do. The bike would be long gone by now. Geoff then approached Bike Vault Australia and registered his bike on their platform. Despite engaging Bike Vault and even the police force, Geoff still admits he had little doubt in his mind that the bike was gone forever. After several months without a bike, Geoff went back into Ivanhoe Cycles and bought a brand-new road bike. Understandably, he was missing his cycling. As Murphy’s Law would have it; literally a couple months after purchasing a brand new roadie, and Geoff is sitting at home table having a coffee. It’s an unexpected call from Bike Vault Australia. “Geoff, we’ve found your bike”, the voice says at the other end. Geoff was absolutely delighted and astounded that the bike had rocked up several months after it had been stolen. Now, what to do with two almost new road bikes, Geoff ponders. Geoff calls Ken Frank (Store Owner Ivanhoe) to explain the situation. Ken then offers to buy the recently purchased road bike back from Geoff. Ken buys the bike back from Geoff because he felt sympathetic to the situation and also because it “felt like it was the right thing to do”. What a champion, and a fantastic example of why supporting / buying from the local dealer is the way to go. Geoff’s Ginat Defy was returned with no marks and in perfect working order. This is the juicy cherry on top of this magnificent story. As Bike Vault Australia build out their presence and have more people exposed to their service offering, Good Samaritan’s are making their presence felt. In the case of this story, a lengendary bloke by the name Darren found Geoff’s bike. Actually, Darren has found over 20 bikes since volunteering his time to Bike Vault Australia. What he did to find Geoff’s bike is simple when you break it down. And according to Darren, anyone can get involved. Darren’s a keen cyclist. In fact, while we were chatting offline he was asking me questions about my road bike and informing me of bike shows and all things cycling. He’s an enthusiast, and as we all know, there’s many of us out there. While he’s looking at second hand markets – either online or if he’s walking past a retail store that offers second hand bikes – if anything looks a little suss or dodgy he goes onto the Bike Vault website to see if there’s a match. Once people register their bikes as stolen on Bike Vault – which is what Geoff did – people like Darren can make assessments. For example, in this instance Darren walked past a Cash Converters and saw Geoff’s Giant Defy going for a good price. That looks a little odd, he thought. Darren jumps onto Bike Vault to see if there are any Giant Defy’s that are listed as stolen. Keep in mind that every bike will have unique characteristics about it. In this case it was the blue handlebars, the Giant Axact speedo, and the Ivanhoe Cycles sticker was still on the frame. If a bike has not been properly ID’d using the Bike Vault Bike ID kit another way of identifying it is through unique markers. In Geoff’s case it was blue handlebars, the Axact Speedo (pictured) and an Ivanhoe Cycles sticker. How can you get ahead of bike theft? First of all, it’s important that you register your bike. 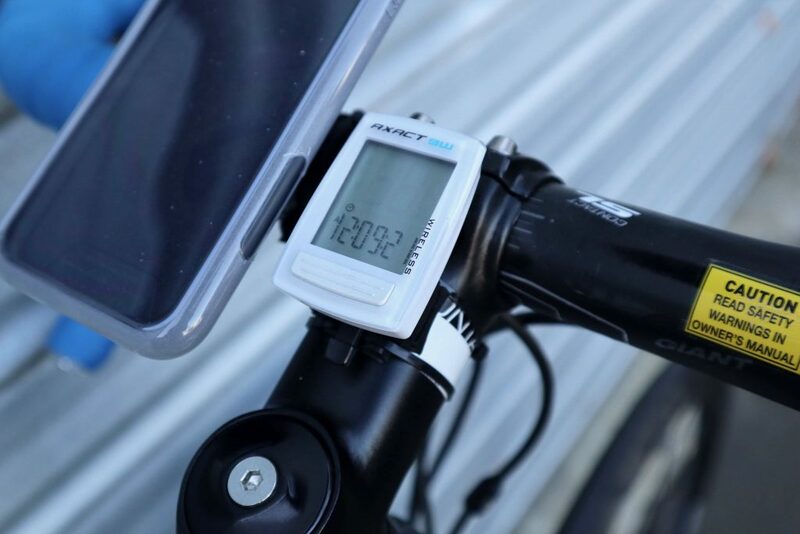 Bike Vault have an ID kit, which is designed to give the bike more compelling identification features, than say blue handlebars or a sticker. Some crooks have some intelligence (believe it or not), and will often dismantle a bike or change up its features in order to mitigate it being recognised. The Bike ID Kit helps to get around this. Additionally, if you want to help out by spotting stolen bikes, like Darren did on this occasion, you can search for stolen bikes for sale here. 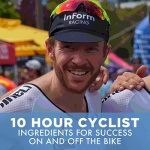 From the team at Bike Chaser we are delighted to share this story and look forward to seeing Geoff out on Beach Rd cruising on his beautiful Giant Defy. 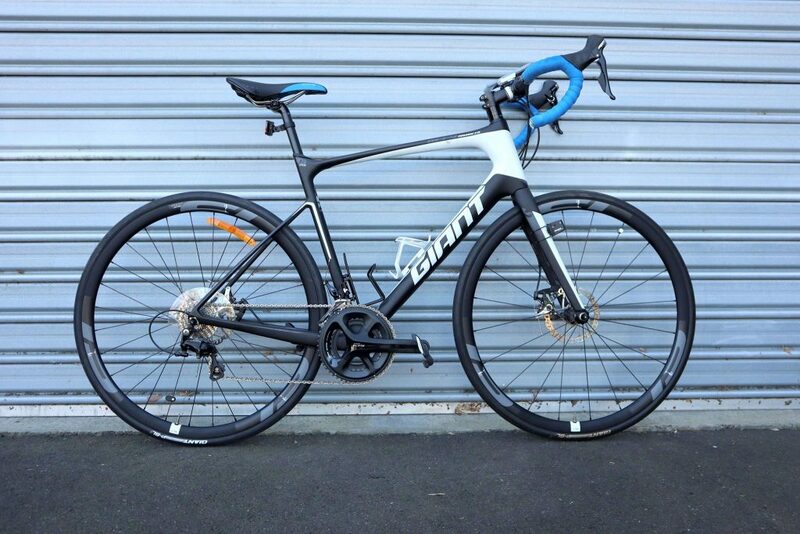 Happy to report that my Giant FastRoad that was stolen in January 2018 has been recovered by the NSW Police Dept when someone tried to pawn it at a shop in Western Sydney. Very happy to get my commuter back! Really useful post. You will not know when and where your bike will be stolen, but you can know some tips to prevent this happening. Thanks again.